Tiësto recently announced the launch of his very own headphone range in conjunction with leading audio design manufacturer AKG. Worn by him during his performances and in the studio, these headphones provide users with a sound tailored for the global electronic dance music phenomenon. Tiësto’s headphone range will consist of three unique models – each designed specifically for the electronic dance music lover. K267 TIËSTO (high performance) - offers an over-ear, closed-back design, with an oversized low resonance driver, providing a higher SPL, while still maintaining a matched low frequency bass response. Its user-adjustable bass boost keeps sound neutral or maximizes deeper sub-bass frequencies when prompted. K267’s Dual Plug-In feature allows the user to attach the cable to either side for maximum comfort. In addition, each set boasts 3D-Axis folding mechanisms for optimum fitting and flat storage. K167 TIËSTO (professional) - is an over-ear, closed-back design for high comfort and maximum noise rejection. Suitable for multiple applications, from the stage to the studio, DJs and music enthusiasts will enjoy the stunning design and impressive sound quality, even in loud environments. K67 TIËSTO (reference) - features an on-ear design ideal for the perfect sound on the go. They are designed for a wide range of applications from live sound to studio work. The compact design delivers convincing and powerful sound wherever necessary, even outdoors. Both the K67 TIËSTO and K167 TIËSTO models are currently available in stories around the globe. The top of the line K267 TIËSTO headphones will be available in late October 2012. 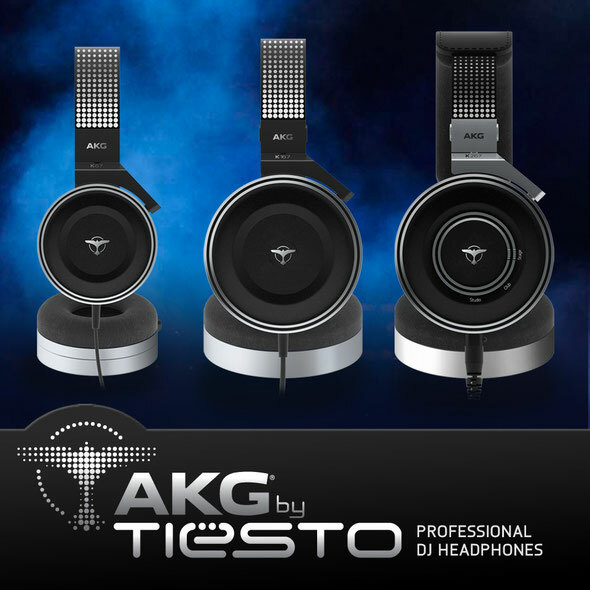 Check www.AKG.com/Tiesto for more info.